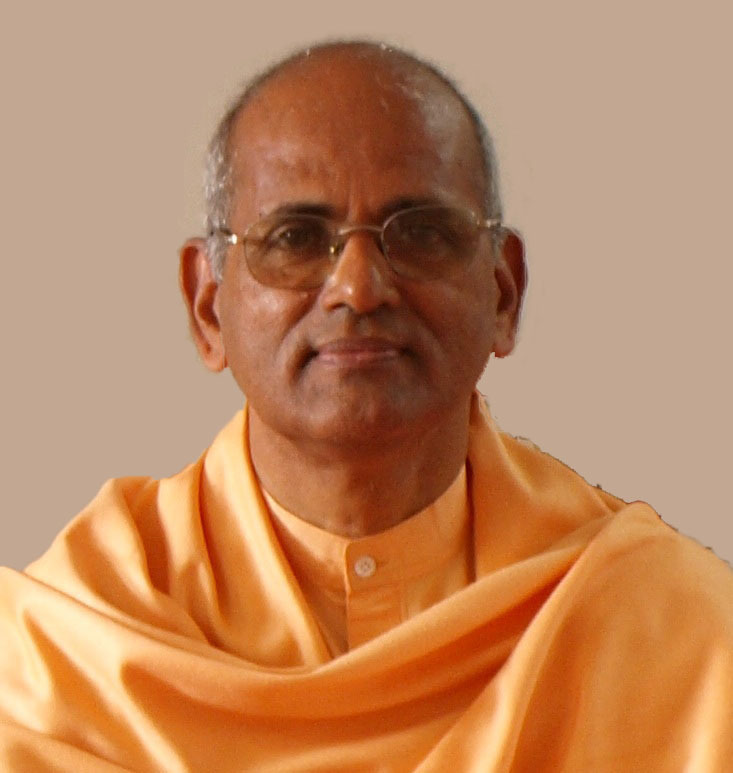 Navasrushti International Trust was founded by Acharya Guru Swami Sachidananda Bharathi and was registered on 8th September 2005 as the controlling organization for all regenerative movements initiated by him. It was registered in Kerala with a global coverage. The registered office of 'Navasrushti International Trust' is Dharma Bharathi Ashram, Mulanthuruthy, Kochi. Swami Sachidananda Bharathi is an Air Force Officer turned seeker of truth and promoter of peace. Membership of Navasrushti International is open to all peace loving people of good will above 18 years of age, from all over the world, who are in full agreement with the aims and objectives of the Trust. The shining sun at the center represents the Essential Truth which is the light that shines on all humankind and enlightens every human soul. The triangle represents the Trinitarian God of Spirit-Light-Love (Sat-Chit-Ananda). The blue circle represents the Godhead, the ‘One Supreme Spirit’ beyond names and forms, which is the ultimate Truth. India is a land of religions. This holy land has given birth to four major world religions - Hinduism, Buddhism, Jainism and Sikhism. Almost all religions of humanity have their living presence in India. Art and architecture, music and dance… all have religion as their basis in our country. Nothing in India grows unless it touches the religious sense of the Indian people. This is a truth that was discovered by both Swami Vivekananda and Mahatma Gandhi. The success of their life-missions could be attributed to this discovery which they had made and had applied effectively in their specific contexts. Our nation is faced with many serious problems today. The all-pervasive corruption is the most serious and dangerous crisis facing the country at present. Corruption has spread as a moral cancer into all vital areas of India’s national life. There is a lot of hue and cry now all over India about corruption. Added to this all pervasive corruption are hunger, poverty, illiteracy, sickness, unemployment, violence and terrorism. The Governments and political parties as well as many NGOs and Civil Society groups are looking for economic and political solutions to these problems. A deeper and prayerful reflection will make us realize that the real problems facing India today are not economic and political, but moral and spiritual. Hence, a moral and spiritual regeneration of India is a historic imperative for the very survival of this nation as a living force. This mission cannot be undertaken by Governments and political parties. This is the task of the era, Yuga Dharma, entrusted to religions in India by history and destiny. In the multi-religious context of our country, this task of the era has to be an inter-religious mission. It will require mutual respect, understanding and cooperation among the various religious communities and organizations co-existing in India. Promoting this much-needed mutual respect, understanding and cooperation among the various religious communities and organizations in our country for building a great new India free from the evils of hunger, caste and corruption is the historic task being undertaken by members of Dharma Bharathi Mission. A series of inter-religious Seminars is being organized by Dharma Bharathi Mission at different parts of India for this purpose beginning with this first Seminar at Nagpur where Dharma Bharathi Mission has set up its National Coordination Office and has also taken up a ‘Nagpur Pilot Project’ as part of this historic mission. 1. A common vision of a great new India of third millennium that can be shared by all religions in India. The first pillar of interreligious cooperation for nation building in the multi-religious context of our country is a ‘shared vision’ of a great new India in the making of which all religious communities and organizations in this country will have their unique roles to play. A great new India of the third millennium built on the Constitutional values of justice, liberty, equality and fraternity, and on the spiritual values of satya, ahimsa, tyaga and seva (truth, non-violence, sacrifice and service) that are common to religions in India, can be termed ‘Bharatiya Dharma Rajya’. The Fundamental Duties of Indian citizens as given under Article:51-A) of the Indian Constitution together can constitute ‘Bharatuya Dharma’. This ‘Bharatuya Dharma’ will provide a Constitutional foundation for the vision of ‘Bharatiya Dharma Rajya’. We have named such a great new India of the third millennium with love and reverence as ‘Dharma Bharathi’. ‘Dharma Bharathi Mission’ (‘DBM’) is a socio-spiritual organisation dedicated to God to transform India into such a ‘Dharma Bharathi’ of our vision built on the Constitutional values of justice, liberty, equality and fraternity, and on the spiritual values of satya, ahimsa, tyaga and seva that are common to religions in India. Achieving the goal of ‘Purna Swaraj’ as envisioned in the ‘Independence Pledge’ adopted by the Indian National Congress in its Convention held at Lahore in 1929 is a prerequisite to realize the vision of ‘Dharma Bharathi’. Political freedom, economic freedom, cultural freedom and spiritual freedom constituted the cornerstones of this vision of ‘Purna Swaraj’. Gandhiji modified the cornerstones of this vision as political, economic, social and moral freedoms. “The Congress has won political freedom, but it has yet to win economic freedom, social and moral freedoms. These freedoms are harder than the political, if only because they are constructive less exciting and not spectacular” wrote Mahatma Gandhi on 27th January 1948, just three days before his martyrdom. This unfinished task, bequeathed to posterity by Mahatma Gandhi and other ‘freedom fighters’ who sacrificed their lives for the political freedom of India, calls for a Second Freedom Struggle, much more challenging and difficult than the first as pointed out by the Father of the Nation. Economic freedom begins with freedom from hunger. It needs the restoration of the land and livelihood rights of the poor landless millions in India. Social freedom will be possible only when India is free from the age-old caste and gender discriminations and prejudices. Moral freedom will ever remain a mirage without eliminating corruption from the Government. Hence, ‘hunger-free, caste-free and corruption-free India’ has to be the common basic goal of the Second Freedom Struggle. Dharma Bharathi Mission was rededicated to God as the ‘core organisation’ of the Second Freedom Struggle for realizing this common basic goal in the concluding prayer meeting of my year-long ‘Desh Vandana-2007’ held at Gandhi Mandapam, Kanyakumari on 30th Jan 2008.
a. The source of lasting peace and happiness in life is the Divine Grace that is available to all people of goodwill who surrender themselves willingly and consciously to Divine Providence. b.	Forgiveness and reconciliation are preconditions for Divine Grace to take roots and bear fruits in one’s life. c.	All religions, scriptures and saints are recipients of Divine Grace. Hence, by sincerely adhering to the eternal noble values taught by them anyone can come to a deeper experience of Divine Grace. e.	Forgiving, enduring and self-sacrificing love, ‘Sahana Yoga’, is the most effective way to find lasting peace and happiness in one’s life and in the world. f.	True and lasting peace and happiness in the world begins with peace and happiness within individuals and families. g.	Peace in the world is impossible without peace among religions in the world, and peace among religions will be possible only when religions learn to live and work together with mutual respect and understanding for a culture of peace and civilization of love on earth. These seven spiritual laws of peace as ‘Sapta Rishis’. When the ‘Sapta Rishis’ and ‘Bharatiya Dharma’ (Fundamental Duties of Indian citizens) are integrated we will have a socio-spiritual philosophy appropriate for our mission. This appropriate socio-spiritual philosophy is termed ‘Spiritual Nationalism’ (‘Dharmodaya’) by DBM. ‘Spiritual Nationalism’ is promoted by DBM as the philosophical basis of the Second Freedom Struggle of India. Cooperation among religions for the mission of nation-building will need a common spiritual programme (sadhana) that can create an abiding spiritual unity among religions and lead to their own spiritual regeneration. Gandhiji developed and applied such a socio-spiritual programme termed ‘Satyagraha’ for the first freedom struggle of India. This was the ‘spiritual weapon’ that he used effectively in his fight against the mighty British empire. The path of forgiving, enduring and self-sacrificing love taught and demonstrated to the world by Sadguru Jesus Christ ( which I have termed as ‘Sahana Yoga’ ) was the underlying spiritual theme of ‘Satyagraha’. Till Gandhiji’s time, the Christian world had taken Christ’s teachings mostly as pious platitudes. But Mahatma Gandhi demonstrated to the world the power and wisdom of Christ’s teachings. Dharma Bharathi Mission strives to promote spiritual unity and regeneration of religions in India through a simple socio-spiritual programme termed ‘Tyagarchana’ which also has its spiritual roots in ‘Sahana Yoga’. This is a programme that integrates the eternal values of tyaga and seva and makes them effective means for spiritual unity and regeneration of India, especially of religions in India. Tyaga and seva are the eternal values that ever inspired the Indian mind. As Swami Vivekananda had pointed out more than a hundred years ago, regeneration of these values is the only way to regenerate India. Tyagarchana is a spiritual programme for this very purpose. ‘Tyagarchna’ includes and consists of those programmes that can help to inculcate the values of tyaga and seva in the people of India. Skipping a meal and using the amount thus saved for feeding a hungry person with love, giving up ice cream/chocolate/coffee and using the amount thus saved to help a poor child with love, forgoing birthday/wedding anniversary celebrations and using the amount thus saved to pay the hospital bill of a poor patient with love, giving your seat in a crowded bus to an old man with love etc. are examples of Tyagarchana. Willing sacrifice and loving service are two sides of the coin of Tyagarchana. This is not to be confused with charity. Tyagarchana is a programme for self-purification and self-transformation. Any worthwhile social transformation has to begin with self-transformation of the individual. ‘Begin with self, begin today and begin small’ is the most effective methodology for sustainable and meaningful social transformation. Tyagarchana is meant to liberate those who practice it from the evils of selfishness, pride and greed that are at the source of hunger, caste and corruption in India. These evils are common to all human beings irrespective of their religious affiliations. Tyagarchana is a common spiritual exercise that can be taken up by followers of all religious traditions for liberating themselves from the evils of selfishness, pride and greed, and for liberating India from the evils of hunger, caste and corruption. It will lead to spiritual regeneration of religions if practiced sincerely their followers. Getting on a cycle is not enough, we need to pedal and move forward if we are to keep the balance. Similarly, a basic inter-religious sadhana for spiritual unity and regeneration of religions is not enough, we will also need a multi-pronged national reconstruction programme that can be shared by religious communities and organizations in India so as to become active partners in the mission of nation building. The Pancha Sutra module is not exclusive or exhaustive. It is only indicative. One can add more programmes according to one’s taste, talents, resources and creativity. The Tyagarchana and Pancha Sutra modules can also be promoted as practical ‘Peace & Value Education’ programmes for operationalising the Fundamental Duties of Indian citizens through educational institutions in India. The task before us today and the challenge facing the religions in India in this era can be faced effectively only through interreligious cooperative action. The four ‘pillars’ of interreligious cooperation for nation-building outlined above constitute a creative and prayerful response by DBM to build a hunger-free, caste-free and corruption-free India. We have to find ways and means to bring together the various religious communities, institutions and organizations in India to be partners in this historic task. All religions have within them liberative and prophetic elements which, if harnessed properly, can become sources of lasting social transformation. We need to first of all discover these hidden potentials lying undiscovered or unharnessed and use them for constructive purposes. This is what we are trying to do through this Seminar and the series of similar Seminars being planned by DBM.